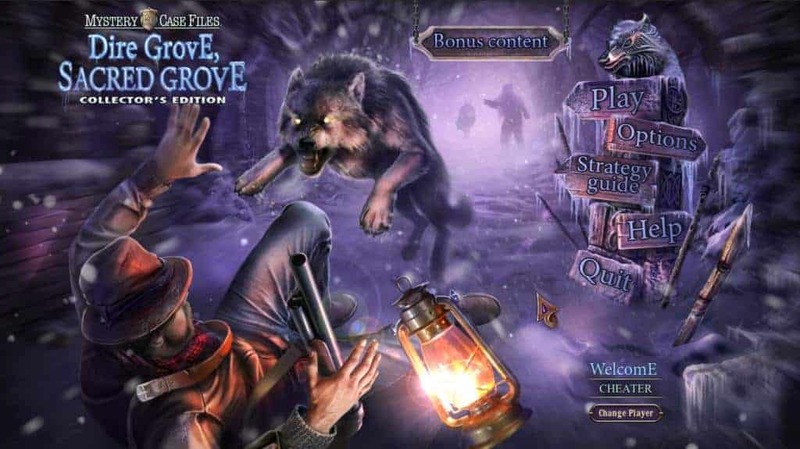 This Mystery Case Files Sacred Grove app review is brought to you by Big Fish. All opinions are our own. Ever since I played the very first Mystery Case Files game many moons ago on an ancient PC, just months after the birth of my son, I’ve been hooked. The first incarnation was pretty basic, yet it completely revolutionized the hidden object game. Although there is some debate as to whether Mystery Case Files holds the honor of being the first hidden object game for the PC, it’s impossible to argue the fact that they were the first to really go all out and make it a worldwide phenomenon. Over the years, Mystery Case Files evolved from basic “hunt and find” in different scenarios to full-fledged mysteries, complete with intense story lines and incredible graphics. I anxiously await new releases the way I used to wait for the latest role playing game. Yes, I was a total gamer girl. That was back when I had time. Time to spend 15 hours a day lost in a game. With Mystery Case Files, I don’t need to dedicate 15-hour clips of starvation-riddled, caffeine-injected time to have fun. That’s the magic of casual games. When Big Fish says “explore the dark side of Dire Grove,” they’re not kidding. Of course, my first thought was “how could Dire Grove get any darker?? ?” If you played the first game, you already know the “Dire” isn’t just a clever name for the grove. It’s an outright warning! It may not be as scary as Ravenhearst, but it’s still a creepy place all on its own. In Sacred Grove, you’ve been called back to solve yet another mystery. Dire Grove is experiencing record-breaking low temperatures. Wild animals are freaking out and threatening you at every turn. The community needs your help to find out what is happening. Of course, they’re not going to make it easy on you! To make matters worse, a war is breaking out between the local hunters and the Mistwalkers. Since everyone is at odds, no one is willing to help you without a little quid pro quo. That means along with finding the items you need to solve the mystery, you’ll also need to help out different people to get the information you need to proceed. You scratch their back and they won’t scratch your eyes out! It’s how things work in Dire Grove! 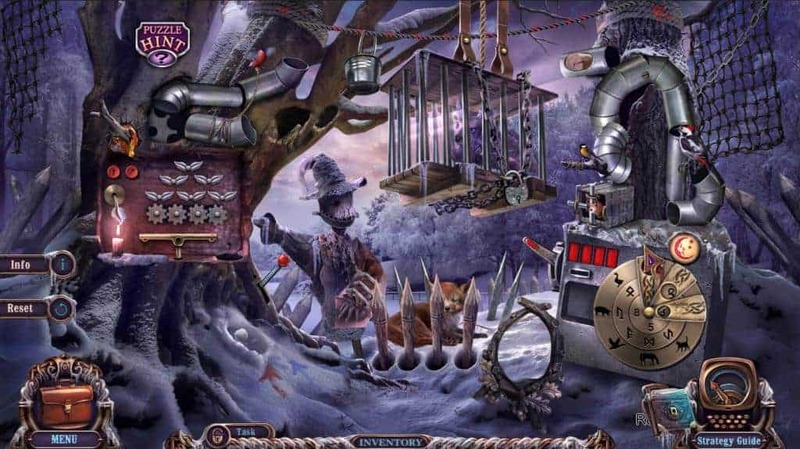 As with all of the more recent Mystery Case Files games, you’ll find an exciting mix of puzzles to keep you engaged throughout the entire game. 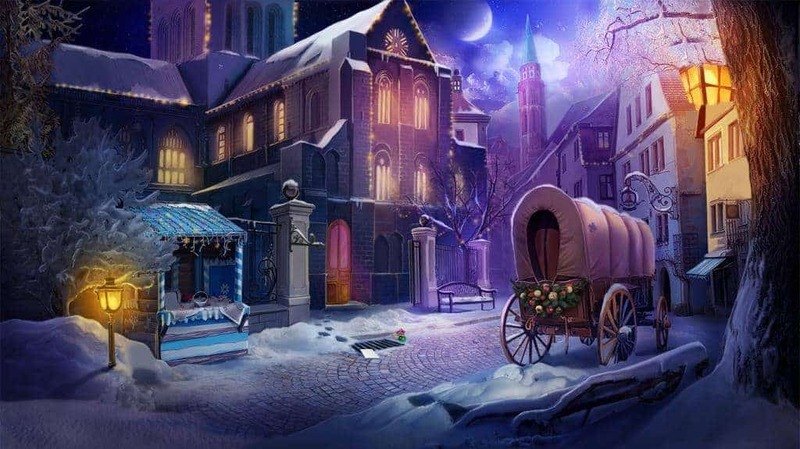 Obviously, you’ll have plenty of opportunities to satisfy your hidden objects game obsession. You’ll need to use your wits to figure out clues to other puzzles, locate the pieces you need to continue and know who to talk to at the right time. Like I said, I used to spend half my day playing RPGs as a teenager and young adult, so these aspects of the game really appeal to me. They give me a taste of the games I loved but don’t have time for, without the need to spend 20 hours leveling up to defeat a boss. In addition to the necessary quests and puzzles, you can also unlock bonus content. These include extra puzzles and Hidden Object scenes in bonus chapters. Collect special screensavers, artwork and more. Mystery Case Files Sacred Grove even has an alternate ending! If you’re looking for a fun game to help you relax after a long day, Mystery Case Files Sacred Grove has everything you need. If you’re a fan of the series, you definitely don’t want to miss this one. Never played Mystery Case Files? I suggest you start! Head on over to the App Store to download Mystery Case Files Sacred Grove now. You can also get it for the PC or Mac from Big Fish. Looking for more great games from Big Fish? Check out two of their other great releases this holiday season! The Dark Parables series continues in The Little Mermaid and the Purple Tide. 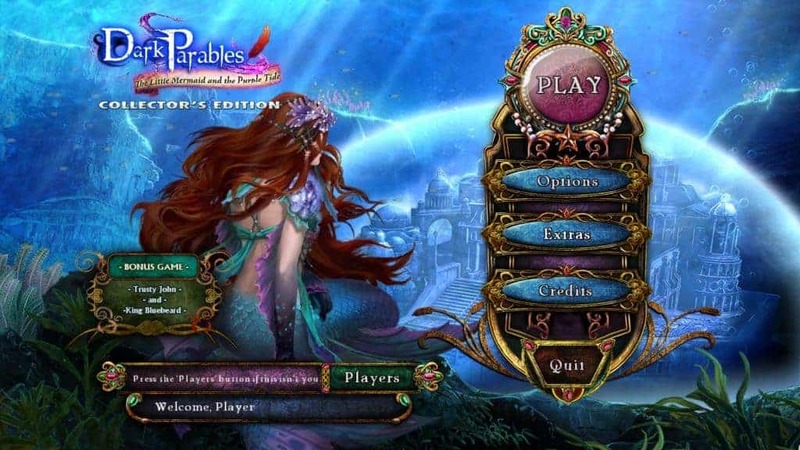 Follow the clues as they take you to a fantasy underwater kingdom in this exciting hidden-object puzzle adventure game! This one looks positively gorgeous, don’t you think? Get Dark Parables for the PC or MAC now. Looking for a little Yule Tide fun? Check out the continuation of the Christmas Stories series in Big Fish’s take on Hans Christian Anderson’s Tin Soldier. Your old friend and former Nutcracker, Albert, needs your help. You, of course, rush off to assist. When you arrive, you learn that a vengeful baron has possession of the Rat King’s evil wand. Now, three innocent people, Albert included, have been turned into toys! It’s up to you to team up with the Tin Soldier, fight trolls and destroy the curse. Grab it from the App Store or for your PC or MAC. Have you played Mystery Case Files Sacred Grove yet? 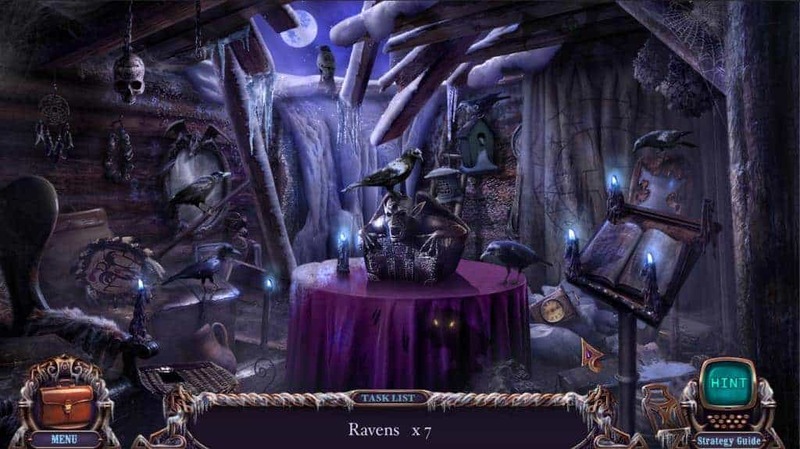 What are your favorite puzzles in the Mystery Case Files games? Nicole is freelance writer, blogger, and mom to an incredibly smart 13-year-old boy. She is addicted to coffee, tends to hoard books, and watches way too much television. Her favorite thing about being a writer is wearing her pajamas to work every day! She is also the owner of PrettyOpinionated. I love all of the Big Fish games. I have never found one yet that I didn’t like. Looks like a game my husband would really enjoy! I will have to see if they have it for his tablet. I used to play games for hours, too. Sometimes I still get drawn into it on my phone! I haven’t tried the Mystery Case Files yet. This one sounds amazing! Oh I so know what you mean about back when I had hours to play a game with no interruptions. I love my kids, husband and life but I miss the days of being able to sleep in as long as I want, read as long as I want, or play games like this as long as I want! Oh I love this type of game! I cannot wait to play it! This looks like a cool game, my Sons would love it! I love Mystery Case Files games they are some of my favorites. I;m not a big gamer myself but this one looks pretty cool. Great graphics too. Really awesome! Sounds like a thrilling game. The graphics are amazing. Will have to download this app for sure. My husband love to play this kind of games. Thanks for sharing. They’ve got some pretty vivid pictures going on there! I bet this would be a hit with my older boys! My husband loves mystery games. I am going to have to share this post with him. Loving the graphics for this game! I haven’t had the chance to try this mystery case app yet! I would be curious to try this – it looks like it has nice graphics! This app looks great but I try to stay away from games because they’re just too addicting! mystery games are awesome.. I love games like these and it helps our brain work too haha! What age group do you think this app is best for? Okay for kids? Teens? My mother in law just loves those Mystery Case Files games. She plays them with my girls every Sunday! This looks like a fun app. I haven’t played it before but will check it out. The art on these games is so pretty! They sound like a lot of fun. I have never played this. Looks like something my nephew would go nuts over. I am not sure if I have played this before but I have played a game similar to it. It was tough. Graphics on this game are pretty amazing. Sounds like a fun mystery game. I have never played a game on my computer ever but my best friend loves this game! I may to have check it out some more. I’m not a game-player, really, but I might try out the Little Mermaid one! Games have certainly advanced a long way in a short time, I will say that! I have never been much of a gamer, but this one would peak my Hubs interest. Maybe… he could talk me into playing it. Wow those graphics are amazing! I bet my husband would enjoy this! My son is really into playing games. I will have to show him this review. I am sure he would love it. These games really look awesome! My son is really into MineCraft right now, but I am sure he would spend hours on these just the same. Seek and find have always been one of my favorite games. They are enjoyable, and they exercise my noggin. I love that! This sounds like a great way to have a little fun in between all of my crazy work. Thanks a lot for sharing this. I’ve always been a big fan of hidden object games. Thanks for sharing! I love to play mystery games. I will have to try this one this weekend. I’m always impressed with Big Fish and what they do with their visuals. They’re totally stunning! Looks like a fun game for when you just want to relax without having to think too much. Thanks for sharing. Will have to check it out. I think the Hans Christen Andersen game looks intriguing. I think a game set during this time period would interest me more. I am downloading this right now. I love games that make you think – they seem to make me forget about stress for a little while. The graphics are amazingly crisp! It looks like another great game from Big Fish. I love Big Fish, they have many awesome games! I haven’t played yet but I really like the looks of this game, i will be checking it out. Very cool! I wish I had more time for games like this, I think I could use the fun! Big Fish seems to have a lot of fun and creative games. My husband would love hearing about these! I have not tried these games yet, but am adding them to my personal wishlist. The Christmas game looks like it has beautiful scenes! I love new games! I can’t wait to play! We haven’t checked it out yet but my husband and kids are huge gamers so I’ll have to show them. Actually I’m sure my husband (who makes games for a living) probably already knows about it! Big Fish has some great games out, my husband likes a couple form them. I’ll have to show him this one – thanks for the intro! That sounds like an awesome game. The graphics looks amazing. Oh neat, I think one of my nephews would really like this app. It looks like something he would enjoy playing! I had never heard of this before! Thanks for sharing! Does Reporting Bullying Make It Worse For The Victim?